Look at your feet. The current work boots you're wearing are a compromise. You can get durability in men's boots, but you also get heavy bulkiness that slows you down at work. You can get comfort and lightness, but then maybe the footwear isn't strong enough to get ... (see full details) (see specifications) #26221. Look at your feet. The current work boots you're wearing are a compromise. You can get durability in men's boots, but you also get heavy bulkiness that slows you down at work. You can get comfort and lightness, but then maybe the footwear isn't strong enough to get you through the day. Take a look at these Danner Men's 26221 Black Stalwart 8-Inch Waterproof Duty Boots. You won't have to sacrifice any desired quality over another. While you're wearing them, you'll have cushioned feet in lightweight yet strong, long-lasting men's duty boots that are also waterproof. Those at Danner who crafted these Stalwart boots know how important every aspect of the design is to the wearer. To make the uppers, they paired black-colored, full-grain leather with 1000 Denier nylon. The 1000 Denier nylon is immensely heavy-duty, so it offers you with a rugged pair of waterproof boots that outlast other designs out there. Leather is smooth, eye-appealing, and also quite tough, and the leather used for the upper is able to be polished at your discretion. In addition, leather is also moisture-wicking. The leather and Denier nylon duo makes for the perfect upper that will help extend the life of the Danner 8-inch black boots. While we're talking about the make of these waterproof men's, it's important to note the construction and footbed. The footbed is made of supportive and resilient polyurethane. It's a popular material for work footwear because it lasts a long time and provides a relaxed feel to your feet even when the wear is long. For stability, Danner used stitchdown construction. It provides a wider platform for your foot to stand on, therefore increasing steadiness. Within this men's footwear, those at Danner included technology to prevent your feet from getting wet. In addition to the moisture-wicking leather uppers, GORE-TEX® liners are included as well. The 100% waterproof lining ensures that no water gets in, but because the liner is breathable, it allows moisture from within your breathable leather boots to evaporate out so sweat doesn't build up inside. Avoiding sweat build up helps them last longer because the moisture and the smell won't deteriorate the interior. Danner thinks of every aspect possible in which to lengthen the lifespan of these slip-resistant boots. The midsole of these Danner Stalwart boots was combined with the shank and lasting board to make one combined piece: a Bi-Fit board. The Bi-Fit board reduces the weight of the design because it combines the aforementioned elements instead of allowing the individual weights of each to add up. However, just because the Bi-Fit board combines parts does not mean the strength or support is sacrificed. The best aspect of the Bi-Fit board is that it's as tough as the shank, lasting board, and midsole would be separately. You'll reap the benefits in Danner footwear that doesn't weigh you down. Danner wanted this pair to feel lightweight on your feet, so they included their Vibram® Kletterlift light outsole. It's a less-heavy edition of the classic Kletterlift outsole. In addition to being lightweight, the outsole is oil-and-slip resistant as well. For durability, it features the Vibram TC4T compound. 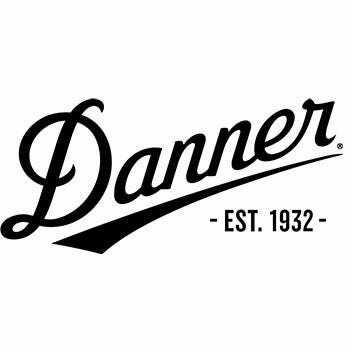 It's clear that Danner is just as focused on promoting the longevity of their lightweight oil-resistant boots as they are decreasing the heaviness of them. Some additional qualities that make these lightweight are the lack of a protective toe and the absence of insulation. But just how little do they weigh? They only weigh 52 ounces per pair and are 8 inches tall. While you're wearing these waterproof work boots, you'll not only have ease of movement, but you'll be able to get the job done with less foot fatigue that can be caused by heavy footwear. In a pair of work boots, why not have it all? Dry, lightweight comfort and long-lasting strength can be yours at the push of a button - literally. Get these Danner Men's 26221 Black Stalwart 8-Inch Waterproof Duty Boots here at Working Person's Store today, and your satisfied, hard-at-work feet will thank you. Danner Boots: Men's 26221 Black Waterproof Stalwart 8-Inch Duty Boots is being added to your cart.